Ready For Some Wonderful Skin Care Gift ideas? Thinking even long before Christmas what gifts to offer that can be useful and well appreciated, oftentimes you run out of imagination and you get stuck. The thing is that there are several things that make it more difficult for you to choose a present and that is whether the person you want to give the gift to has already got it or whether it suits their taste or their preference. So, if you are not sure of the reaction your gift with trigger, I think a great and well appreciated gift idea especially for women but also for men are skin care products. So, here I will give you some great ideas for skin care gifts coming from product reviews I have written and my readers seems to be finding very effective, useful and beneficial to their skin care routine. First gift in my list is hyaluronic acid serum. Women seem to love it because it provides hydration, seals it in their skin resulting in a softer, more youthful complexion, with less visible wrinkles and oftentimes invisible fine lines. 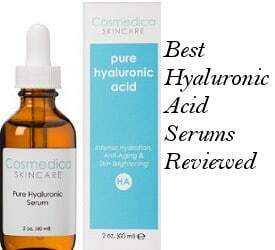 So, if you are a man looking for a skin care product that your woman will surely appreciate, here is a review on the best hyaluronic acid serums. Now, if you are a woman looking for gifts for your mother, friend, sister or even daughter think of this product as an excellent gift idea which you can combine in a pretty box with another product like a face moisturizer or an eye cream. 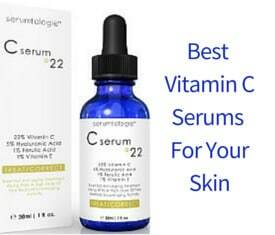 Second product in my list which women simply can’t get enough is vitamin C serums. A vitamin C serum is clinically proven that can boost collagen and therefore make your skin more youthful looking and radiant. Vitamin C is one of the top antioxidant and therefore anti aging skin care ingredients today which a lot of skin care companies choose to include in their skin care products ingredients lists. Still, to select a good quality vitamin C serum, you have to be aware of the other ingredients that it contains to exclude useless fillers or harmful components. 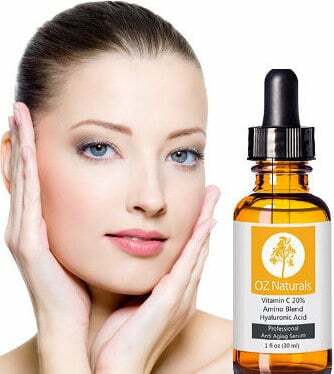 For an informative review, you can check our best vitamin c serum for face review. Now, if you are a man looking for an effective skin care product for a woman, be sure to surprise her with your skin care knowledge if you select to buy her a vitamin C serum together with some other small item beautifully presented inside a box and followed with all your heart’s love. Now, if a close person of yours has a sensitive skin and hasn’t found a good series of skin care products to balance their skin, then Pai skincare is one such organic brand for sensitive skin sufferers which can make a big difference to their skin. Lovely luxurious top quality products for all types of skin and lately newly launched serums like the anti blemish and the anti redness serum which has already been gathering lots of fans. To learn all about this popular organic skin care brand, you can read our Pai skincare reviews article and get plenty of ideas for wonderfully presented and of an excellent quality gift sets. For men and women with acne scars, dermarollers have actually been very helpful with positive results showing up after a period of use. A good quality dermaroller combined with Pai rosehip Oil or Sukin Rosehip Oil, which are great for scars, can make a great gift. For more information on dermarollers, you can read our dermaroller skin treatment article as well as our Best Dermaroller for face and body article. Another great skin care gift idea is a good moisturizer combined with an effective eye cream, the perfect duo. For carefully selected moisturizers you can browse around our section of our face product reviews where you can take lots of ideas as well as the eye product reviews section. Cleansers also make great skin care gifts especially if you know the skin type of your gift recipient. A box with a great cleanser, a konjac sponge and a mud mask for oily skin as the ones shown in our best face mask for oily skin article can surely be appreciated. Pai Camelia & Rose Gentle Hydrating Cleanser that is perfect for dry or sensitive skin but for other types of skin as well can also make a wonderful gift. It is also followed by a muslin cloth. Body products can always be useful. Lovely body lotions such as Pai Comfrey & Calendula Calming Body Cream or our selection of Manuka Honey body lotions will give a silky hydrated and healthy skin with a fine essence. For more serious conditions, glycolic acid body lotions or amlactin body lotions can prove to be very helpful. 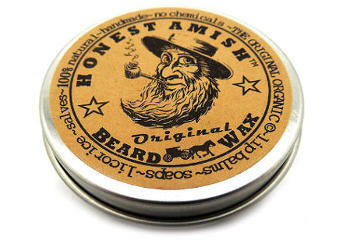 Finally, natural oils and shea butter versions such as whipped shea butter can make an excellent all natural gift set. Jojoba oil is perfect for oily combination skin as well as dry skin, rosehip oil is great for scars, fine lines, stretch marks and damaged skin. My favorite castor oil is great for moisturizing and making fine lines almost invisible. Pomegranate oil is great for firming skin while avocado oil is good for deep hydrating dry skin. Argan oil is a very light conditioning natural oil which has a great feel on the skin. 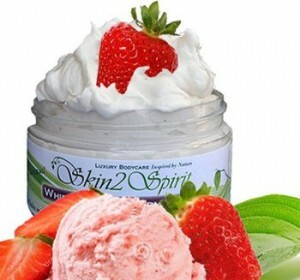 Whipped shea butter makes a great texture product with skin care qualities which everybody will appreciate. A nice box with a natural oil bottle and a whipped shea butter product inside will put a smile on any natural skin care lover’s face. In conclusion, that was a quick selection of different skin care product combinations that will not only help you decide faster on gifts you want to give but will make those gifts beneficial, useful and why not unforgettable to their recipients as well.